Tereza Novotna is an FNRS Post-Doctoral Researcher based at the Institute for European Studies, Université libre de Bruxelles (ULB) in Brussels, Belgium. She joined ULB in Autumn 2012 where she examined the role of the European External Action Service (EEAS), its composition (including gender balance) and the upgraded role of EU Delegations. Since October 2014, she has received a three-year post-doctoral funding from the Belgian national research foundation (FNRS). 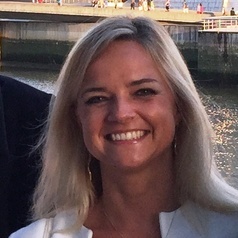 Although her current work focuses primarily on EU foreign policy, her broader research interests include EU enlargement, democratization and integration processes (in Europe and on the Korean peninsula), transatlantic relations and TTIP negotiations, and the politics of Central and Eastern Europe as well as Germany. Tereza received a Ph.D. in Politics and European Studies from Boston University and undergraduate and postgraduate degrees from Charles University Prague. She is the author of the monograph How Germany Unified and the EU Enlarged: Negotiating the Accession through Transplantation and Adaptation (Palgrave Macmillan, 2015) which is comparing and contrasting the two post-1989 integration processes. Tereza has held visiting fellowships at several institutions including the Center for Transatlantic Relations at SAIS (Johns Hopkins University), the Center for European Studies at Harvard University, the Institute for German Studies at University of Birmingham, the Stiftung Wissenschaft und Politik (Brussels Office), the German Council on Foreign Relations in Berlin (supported by a DAAD grant), the Institute for Human Sciences in Vienna and the Max-Planck Institute for the Study of Societies in Cologne. Her research has been published in German Politics and Society, West European Politics, Studies in Ethnicities and Nationalism, Perspectives, Journal for Contemporary European Research, and E-Sharp as well as in numerous policy and media outlets. She has also practical experience of EU foreign policy from working for the European Commission, DG RELEX/EEAS, the EU Delegation in Washington, DC and the Czech Permanent Representation to the EU.